One of my favorite activities, that I have learned over the last year, is paper-piecing. I have thoroughly enjoyed this craft and thought this was the best time to pass on some of my tips. My number one tool, unfortunately, is my small quick ‘n’ pick (seam ripper). 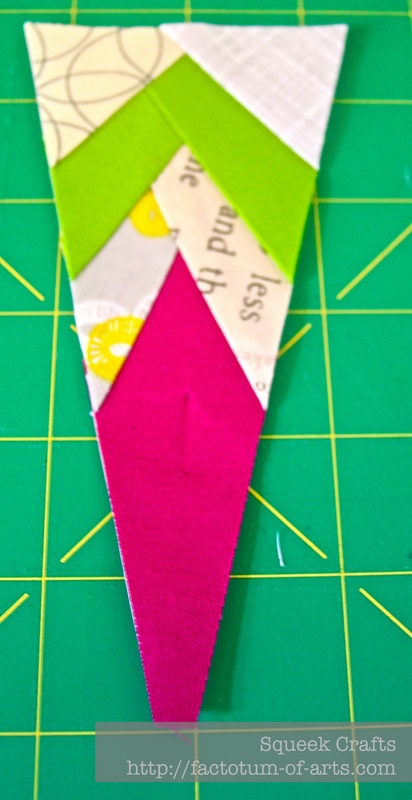 For paper, I just use printer paper, I don’t use freezer paper…its just easier to get straight to the piecing. Sunlight or light is extremely important so you can place/alignment at the right place. I usually lift the piece and the adding fabric to the light and see through the paper and fabrics. My iron for pressing all those seams, essential. A ruler and rotary cutter for trimming 1/4 inch edges. If you are making too many mistakes, take a break and come back to it. It really helps. After all the trimming etc., it can get a little messy. So, to help organize and clean as you go, I use two bins; a small scrap bin to put small reusable scraps into, and a bowl for rubbish/trash. 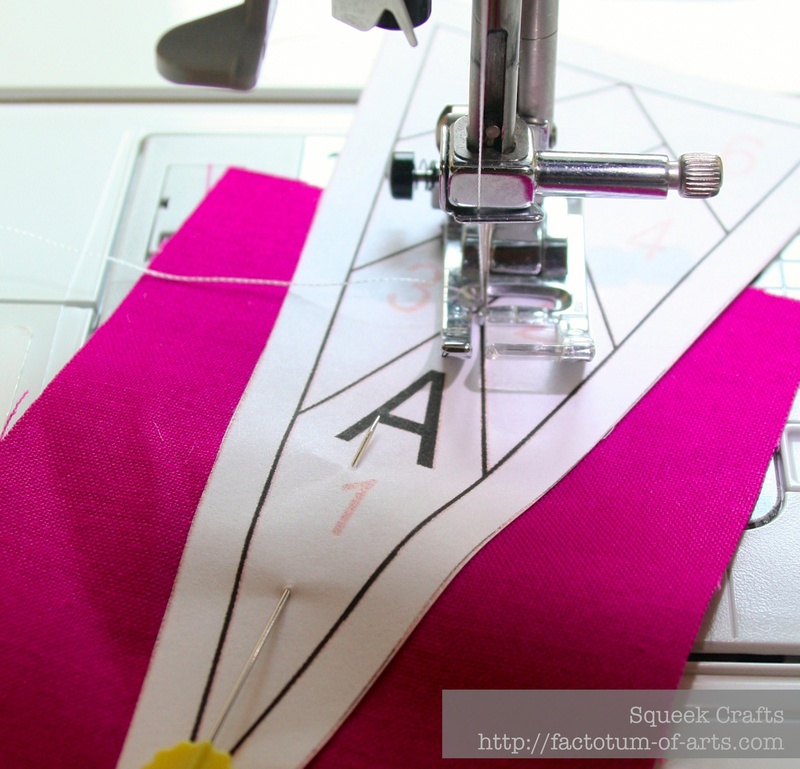 I use a reduced stitch size (1.2 on my brother sewing machine) so that it is easy to tear the paper away at the end. Make sure your fabric is big enough and aligned correctly, to take into the consideration the angle of the seam (quick ‘n’ pick reason #1). 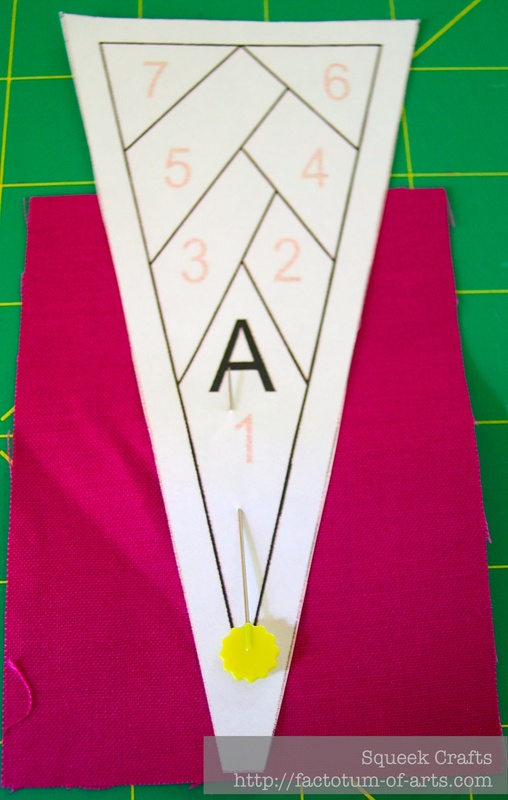 Make sure your fabric is right side to right side (you won’t believe the number of times I go to check and its the wrong side up, quick ‘n’ pick reason #2). 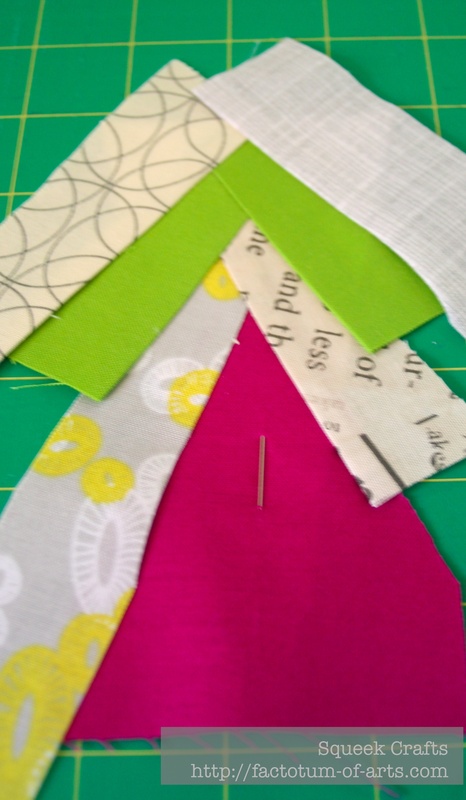 Make sure your fabric does not fold over when you sew, otherwise you will need to unstitch (hence the quick ‘n’ pick reason #3). 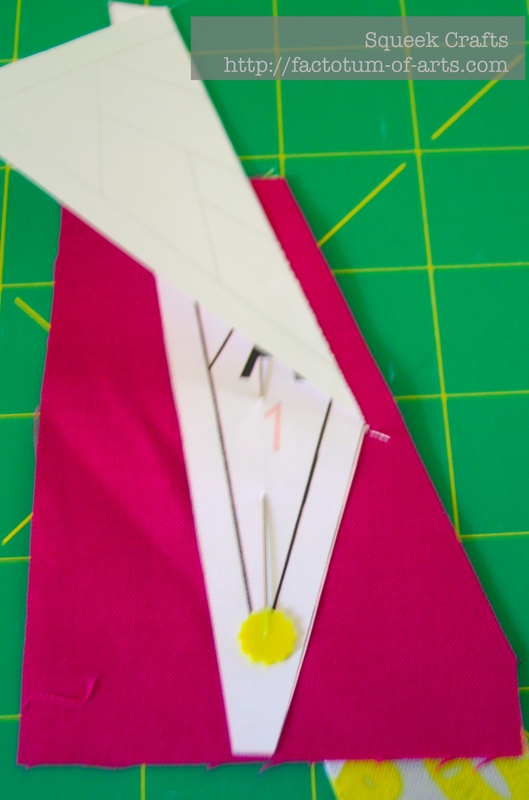 Position needle and align the foot, sew seams from the inside to outside. Always trim seams with 1/4 inch. I thought I would now step through a tutorial for how I create a piece and join those pieces. 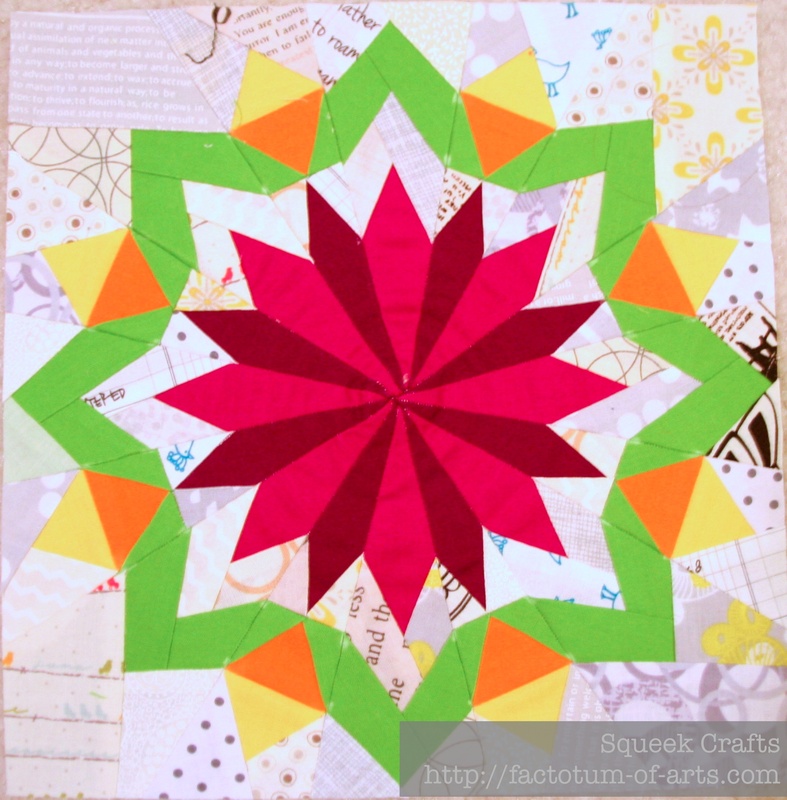 I am using a block that was designed by Esther @ I patch and quilt – Blooming Hot (available on Craftsy). If the first piece is large, I usually pin it to hold it in place. Place and align the next piece of fabric so right sides are facing. 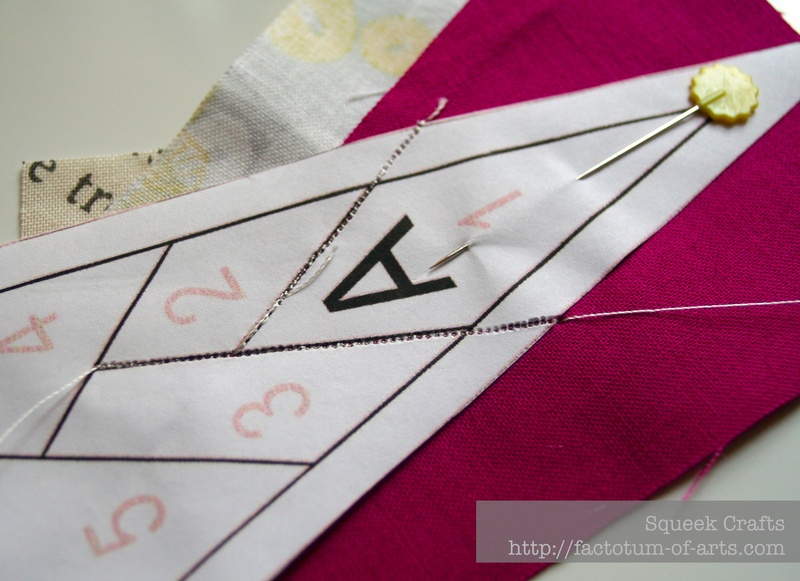 Line up the needle point with the tip of the line you are sewing, sew from inner points to the outer points. 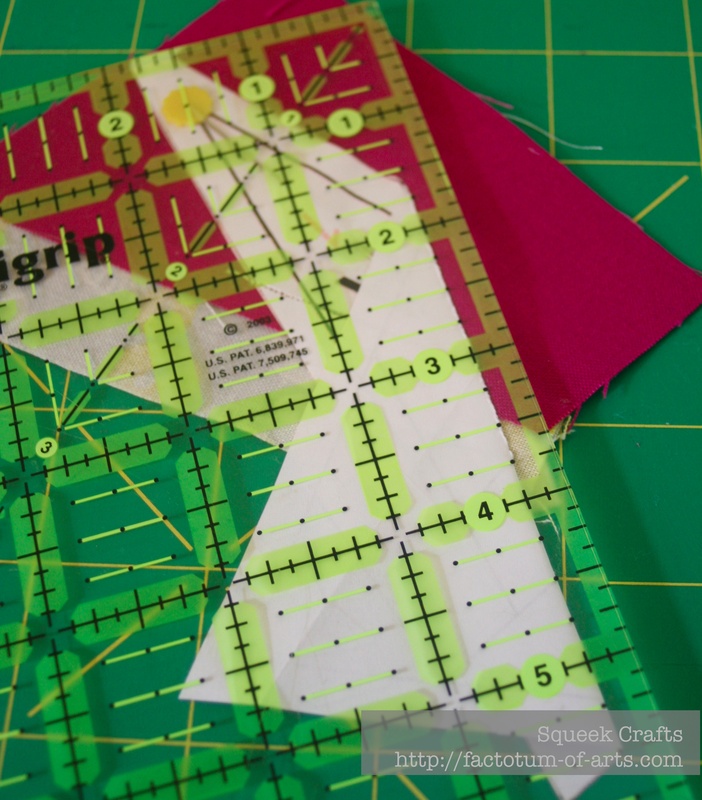 Sew through a 1/4 inch seam markings to the edge of the paper. Here is an example of two seams (pieces 1 and 2). After each seam, before pressing, measure and trim 1/4 inch from the seam to remove excess fabric. This keeps the piecing neat but also stops any dark fabrics from showing through. Turn piece over and press the fabric pieces back, all right sides are facing up. Continue until all seams/pieces are sewed and pressed. Now, it is time to trim the piece. 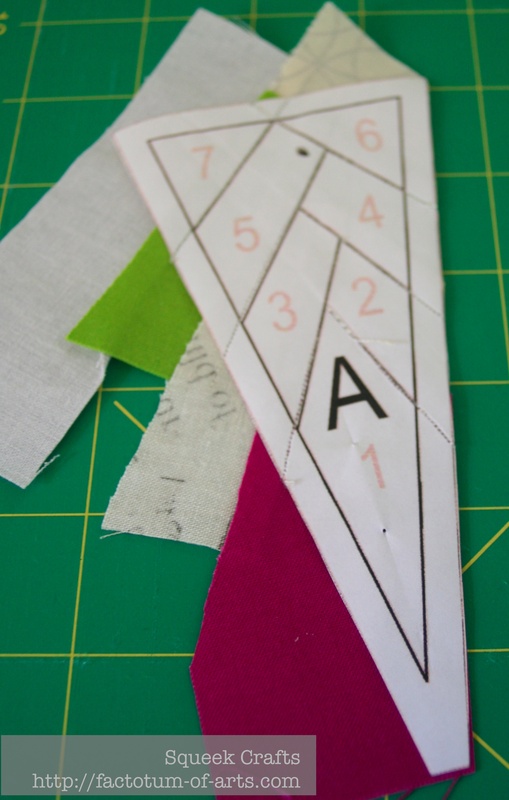 Use a ruler and measure a 1/4 inch seam from where the joining line/piecing line will be. You can’t always just use the print out as you may have decreased or increased scale. You need this to take into account the need for a 1/4 inch seam. Continue until all edges are trimmed. For joining pieces, I think this varies depending on the designer and the pattern. Sometimes I can just line up the two ends and sew 1/4 inch in and the pieces line up well.For this particular block, I wanted to ensure the green pieces are aligned correctly. I measured a 1/4 inch from the edge and marked with chalk. I repeated this step with the second piece as well. I then matched up the white lines and pinned/held them in place, as I aligned the top and bottom of the edge as well. Sew a 1/4 inch seam and press. I tend to press seams apart when paper piecing to reduce the bulk. 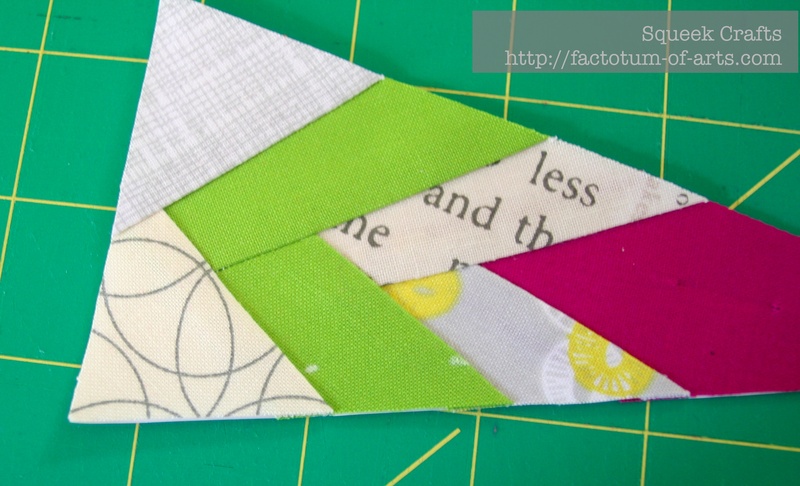 Linking up with Kristy over @ Quiet Play for her paper piecing party. 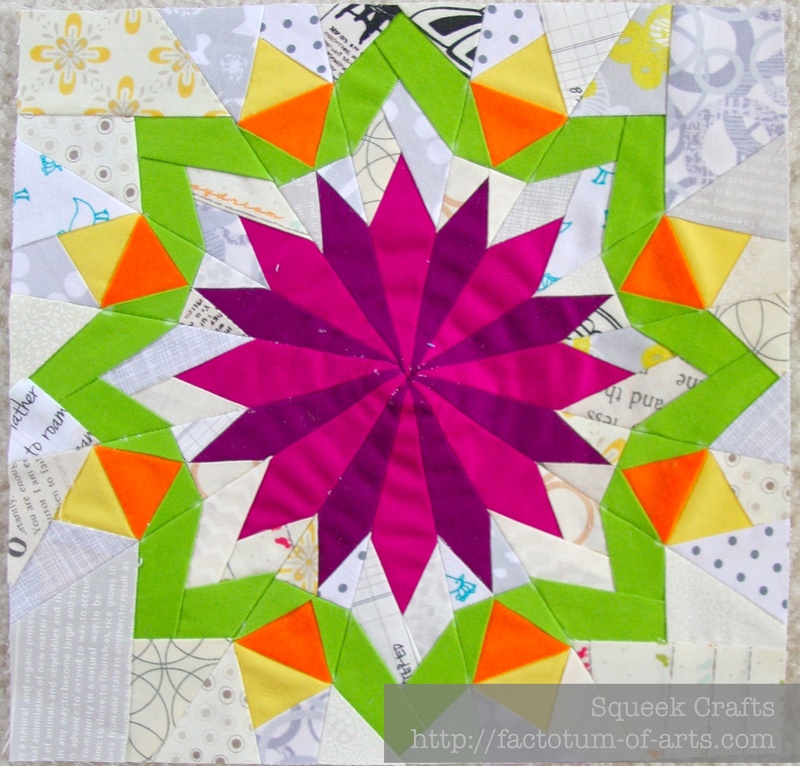 This entry was posted in Uncategorized and tagged Blooming Hot, paper piecing, patchwork, quilting, sewing, tips, tutorial on September 2, 2013 by mlwilkie. Well done ……just love all the paper piecing. Thanks for sharing those tips !! this is such a beautiful block. 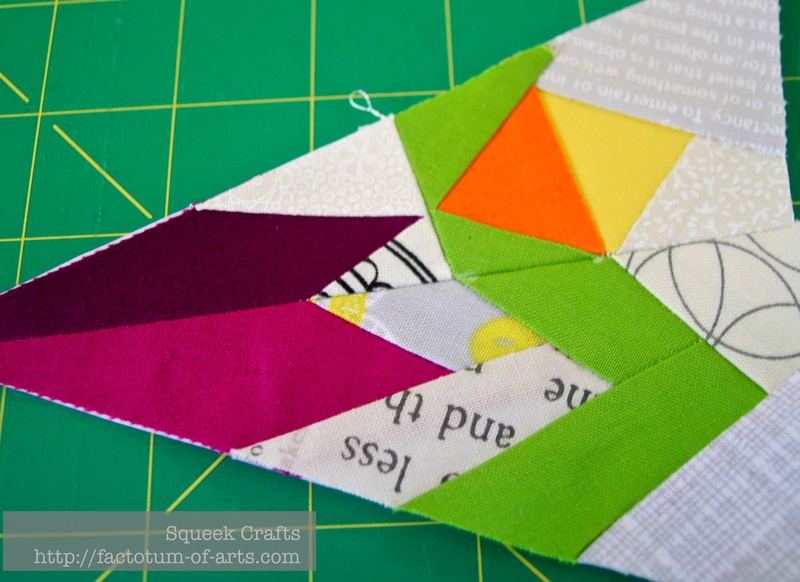 I’ve never done paper piecing, but I’m thinking that I really do need to try it! No worries. There are also a couple of good youtube videos out there as well which have the details to get you started 🙂 If I can find the one I used I will post. 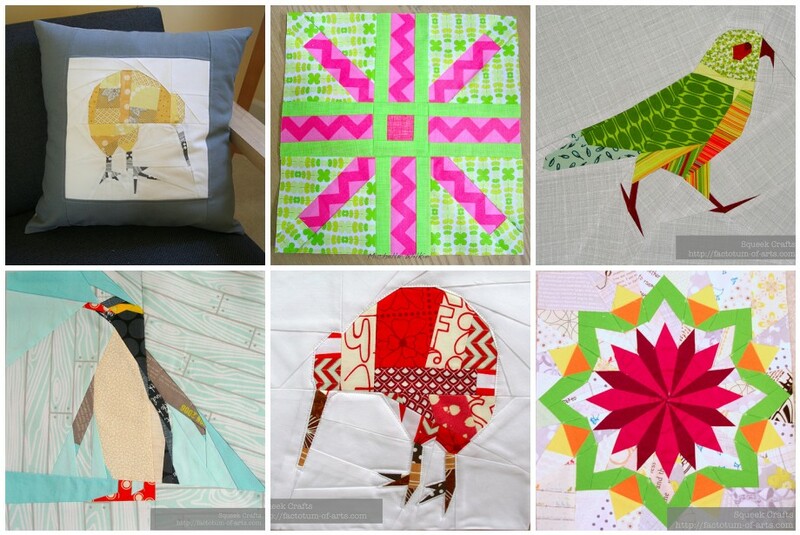 I have been enjoying some paper piecing this year too – it does turn out so beautifully. Thanks for the tips. Great post! Thanks sew much for sharing your tips and that fabulous little tutorial. Well done! Have you seen the “Add a Quarter” ruler? 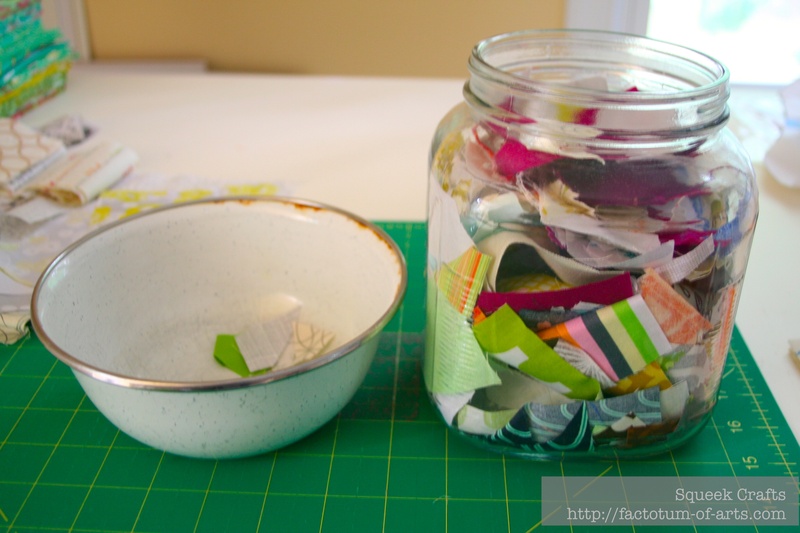 I love it lots for paper piecing. When you get into lots of seams it butts right up to them and gives a nice line to cut on. No worlbing ruler. I bought a 12″ one, but think I will probably pick up one of the smaller ones. Great tutorial! I really am bad at PP but with your tute I will try again! You birds are beautiful! I need to try this! It looks so nice and crisp. Your block looks beautiful! 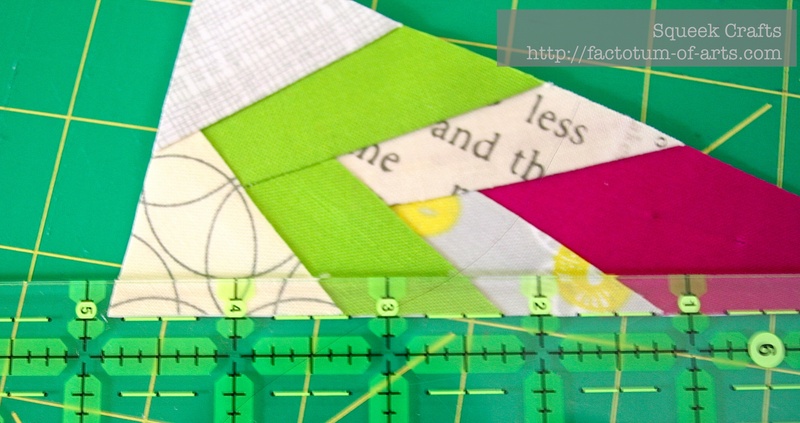 Fab paper piecing tips too! I think we often keep what we have learned to ourselves because we think the information is already out there? But it truly does me good to read another perspective. Thanks for adding information to the world! Thank you for this wonderful tutorial! Great stuff! All of your blocks are so fantastically put together. Thank a lot for being my tester for Blooming Hot! 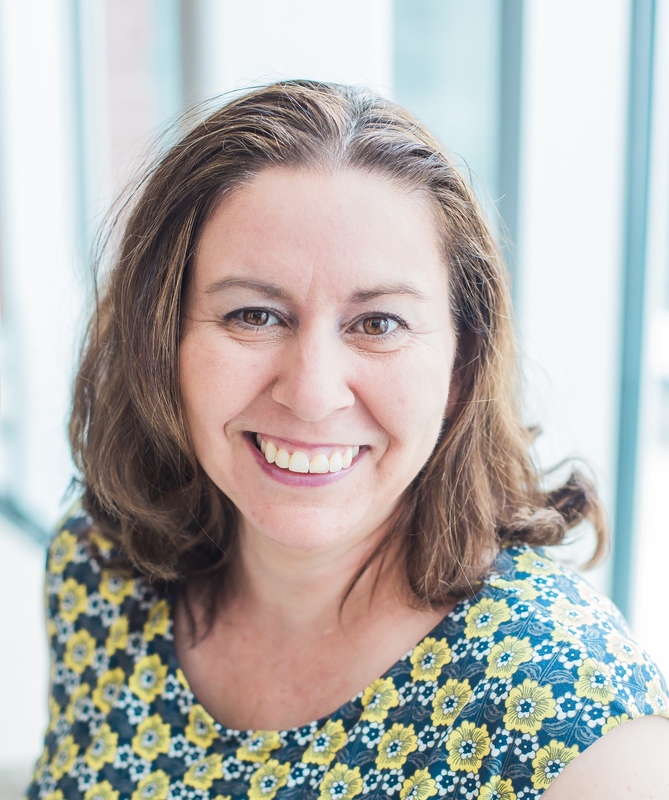 Your testblock is wonderful!! !